We offer a wide variety of payment methods suited for almost everyone. 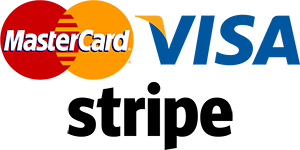 You can make payments by credit card, PayPal, bank transfer, cheque, cash or Wing mobile money payments in Cambodia. We use Stripe as our payment gateway processor to ensure your details are fully secure. Our credit card processing is done through Stripe in Australia and the UK, so you can be assured that it adheres to strict legal requirements and standards set in mature e-commerce markets. Making a credit card payment is easy, you will be presented with the credit card payment option by default when you place an order, or when you open an invoice in our client area you can select the credit card payment method in the dropdown box in the top right corner of the page. Enter your details on our secure server, encrypted with a 128bit SSL Certificate, these are then processed directly through Stripe and you will receive your payment confirmation instantly after a successful payment. For recurring monthly payments, PayPal Subscriptions offer you an easy way to pay by credit card or via your PayPal balance. When you sign up for a subscription with a credit card through PayPal, your card details are handled entirely within PayPal rather than on our servers. To sign up for a PayPal Subscription you can select the option when placing an order. Upon clicking the order confirmation button, you’ll be redirected to PayPal’s website so that you can log in and select your payment method there. After inputting your credit card details or paying with your PayPal balance, you will be redirected back to our website where your order will be automatically confirmed. You can make a direct payment to our PayPal account by sending your payment to our email address payments@hostasean.com. We can accept cash and cheque payments collected in person in Phnom Penh, Cambodia, for any services paid for annually in advance. Please place your order, select “Pay by Cash” and then send an email to support@hostasean.com. We can usually meet you in Phnom Penh Monday to Friday during working hours, we’ll arrange this with you directly. We’re primarily based around the BKK1 area so we’d be happy to meet in a local coffee shop. Wing is a mobile payments provider that operates in Cambodia that enables people to conveniently send and receive money locally with minimal fees. We have an account with Wing that you can send your payment to, there are two ways to do this depending on if you are a current Wing account holder or not. Just visit any Wing outlet - there's one on almost every corner. They have dedicated outlets plus numerous mini-marts and money exchangers displaying the green and blue "Wing" sign. Once you find an outlet, go to the counter and ask to send money to our phone number 0966 122 972. You can pay them with cash and the staff member will process the payment for you. Send us the Wing payment code by emailing support@hostasean.com. If it asks “Please enter valid input”, enter "1" and enter the Wing # again. Enter your payment amount when it asks "Enter USD Amount"
Enter your PIN to confirm and send. We will receive your payment instantly and then we will process your order usually within a few hours, if not sooner. If there are any fees of $0.25-0.50 to be paid, we are happy to cover this. You can deduct the fees from the total when you send your payment. We can accept bank transfers to accounts in Cambodia or the UK. Please contact us if you need to pay via bank transfer. For international payments under US$250, please use an alternate payment method. Does HostAsean offer a money-back guarantee? Does HostAsean offer 24/7 support? Will my website still be fast for my customers in Europe or North America?